Dalton Deschain & the Traveling Show are a pulp-punk band from New York City. The perfect intersection between David Bowie, Danny Elfman, Stephen King, and Alkaline Trio, the band is known for dark but humorous experimental punk music, filled with pulpy lyrics about circus freaks, dark rituals, nuclear war, and demon posession. The band has grown a cult following locally through their off-kilter, high-energy shows, including their annual Devil's Night party held every Halloween. Hooks, dance beats, ugly riffs, sci-fi lyrics, and witty banter promise a show and a listening experience that is wholly unique and infectious. Though their shows are high-energy, fast, and loud, there's a lot more hiding under the surface for fans looking for something extra. All of the songs by the band tell one long, continuous sci-fi/horror story about a circus ringleader possessed by a demon in the 1940s. Featuring a colorful cast of characters including circus freaks, femme fatales, and nuclear researchers, the story is pulp fiction at its best, while also keeping one foot firmly in modern social commentary. Most recently, the band released Catherine, the second in a series of three EPs that tell the story of one of the characters in the story. Their most experimental album to date, the EP contains the atmospheric post-punk track "Tin Laurels," and the spacey break-up ballad "Approximate Girl." The album is packaged with an accompanying 60-page chapbook, featuring lyrics, illustrations, and a short story written by Deschain about the characters in the album. 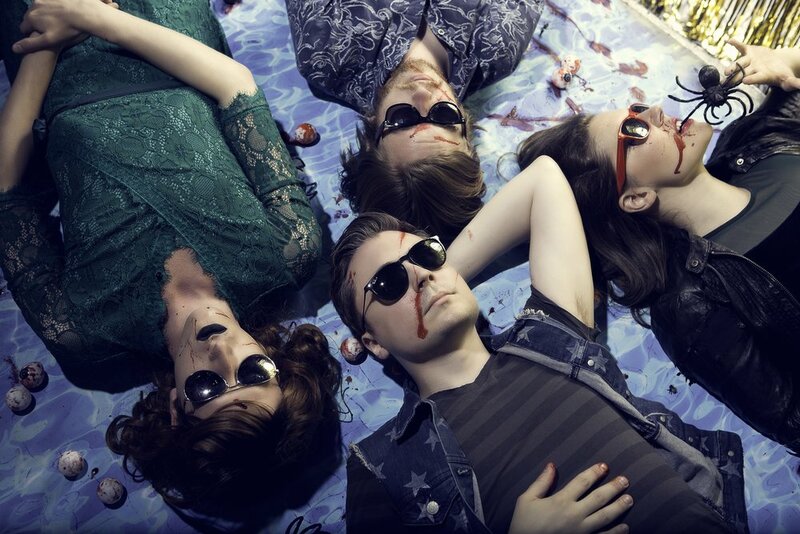 Catherine follows last fall's EP Roberta, and the band's 2014 debut EP, The Collateral Vignettes. Both albums can be purchased through bandcamp, as well as all other digital music services.